Having recently acquired all of Texaco’s filling stations across Northern Ireland, Nicholl Fuels needed a rebrand, new signage and livery for their new premises and fleet of vehicles. Nicholl Fuel Oils is a major distributor of heating oil throughout Northern Ireland. Our brief was to develop a new brand identity using a similar colour scheme to the previous owners. 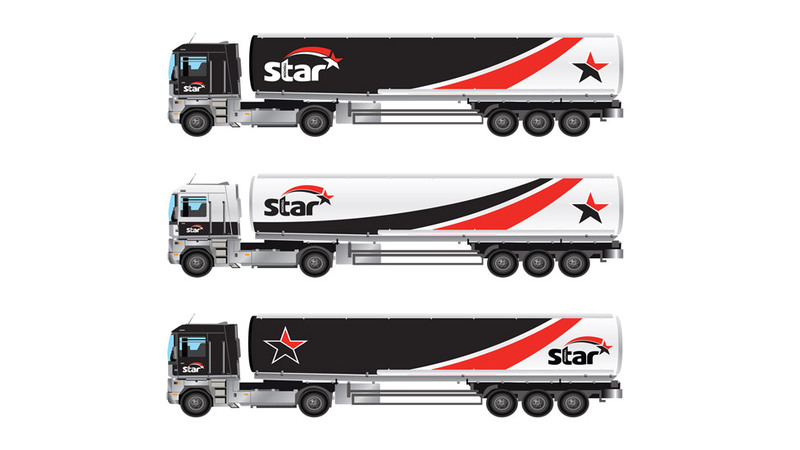 A modern, fresh approach was required to push the Star brand to the forefront of the fuel retail market and become a recognised retail brand throughout Ireland. We designed the new Star brand to be “fresh, clear, bright and dynamic” to maintain a feeling of trust and instant recognition for the consumer, whilst also providing the client with a clear brand implementation strategy. The retail branding and signage was created to reinforce these requirements and was applied to a variety of media including fuel tankers, forecourts, customer loyalty cards and staff uniforms all aimed at delivering a well thought out and executed brand image for the client and their customers. 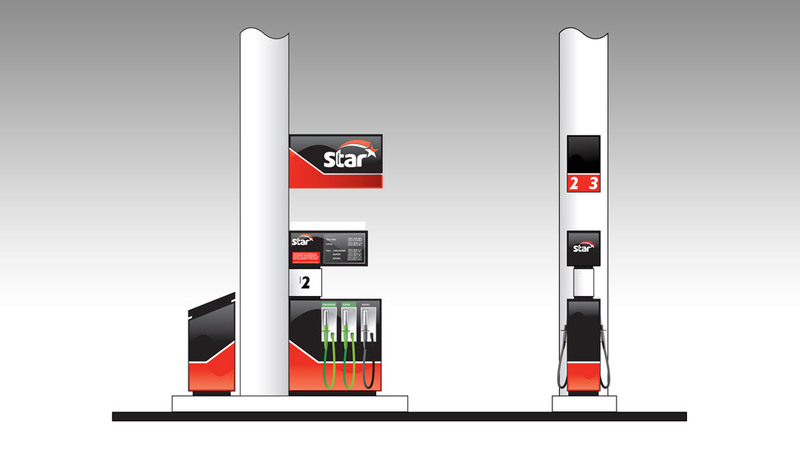 Every forecourt is different, so we created a modular approach to the range of STAR signage to suit the various sizes and formats that are encountered while rebranding the existing forecourts. A totem featuring an easy to manage LED pricing system, low energy lighting and bright fresh colours help to make the new STAR branded forecourts an inviting retail location for drivers. Since the completion of the retail branding and signage project, there are currently 200 petrol stations throughout Ireland, serving thousands of customers every month and proudly displaying the Star brand.